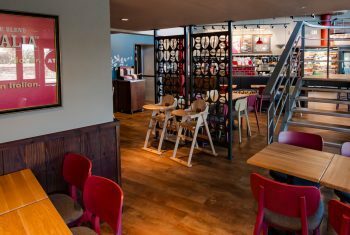 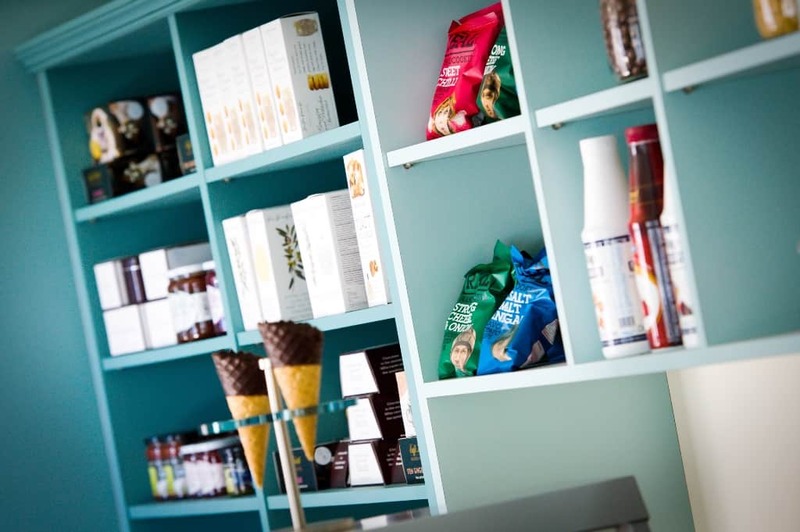 Restaurant Design Associates (RDA) was tasked with creating a cafe interior design for a new Costa Coffee store at Blackpool’s world-famous Pleasure Beach. 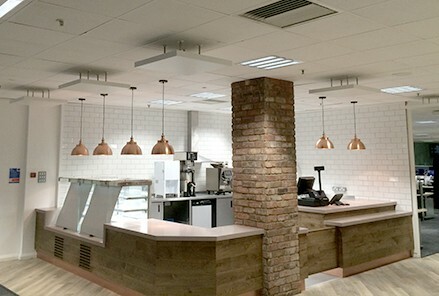 Transforming the existing space – previously a steak house – the project presented a number of challenges, from working in a building of special interest to adhering to a timescale of just three weeks, ensuring an opening prior to the busy Bank Holiday. 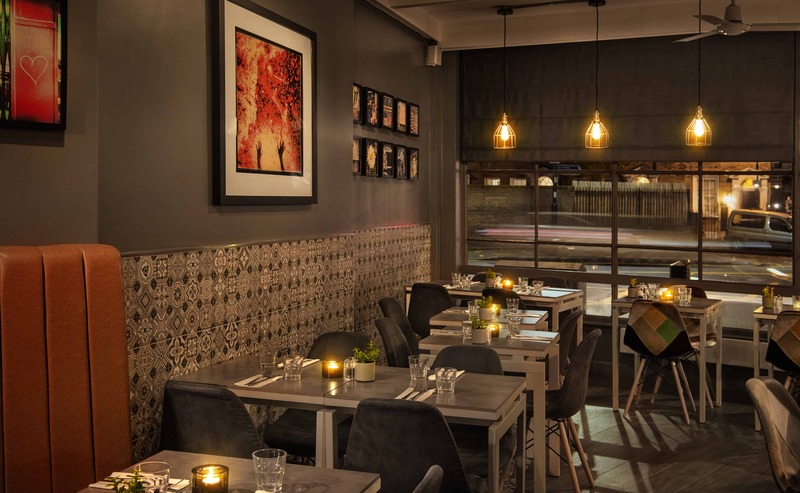 The seating areas spanned two floors and careful consideration had to be taken in terms of ensuring synergy of the overall design. 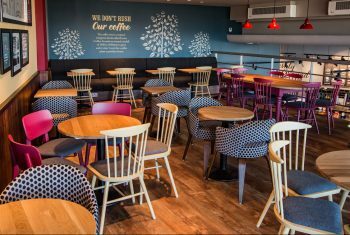 The interior fit-out was based on the latest Costa brand, and the brief required it to be both vibrant and modern. 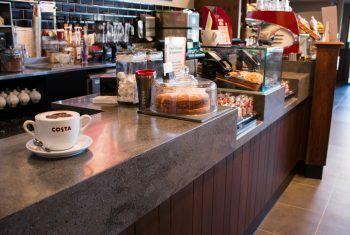 Installation involved considerable re-modelling as well as the removal of the existing steak bar equipment, including ventilation and extraction, to accommodate the Costa Coffee outlet.